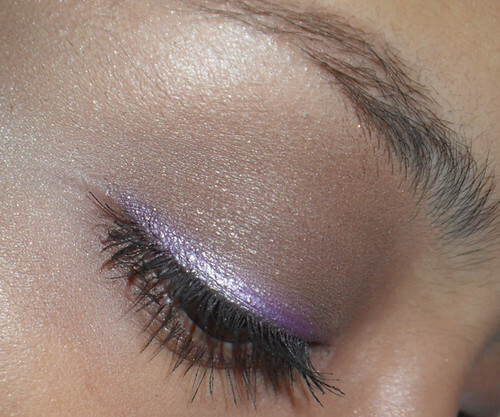 This is a simple, flattering look which is wearable for the day, and fun for the night. 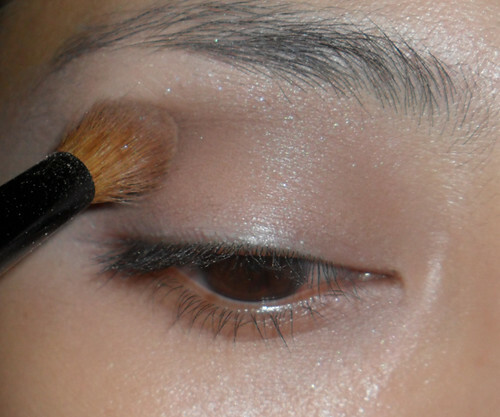 You can also streamline it to just 2 shadow shades if you want. 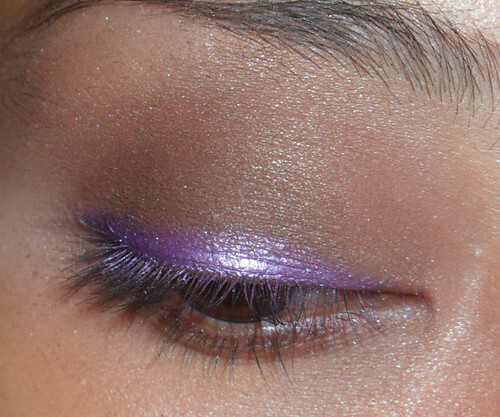 A matte medium-deep brown, and a metallic medium-purple. 1. Apply base and then pack on a medium brown matte shadow all over the socket, and along the outer half of the lower lash line. 2. Fill in lid with a deep matte taupe brown and layer on a medium satin brown, blending and spreading up over the brow bones. 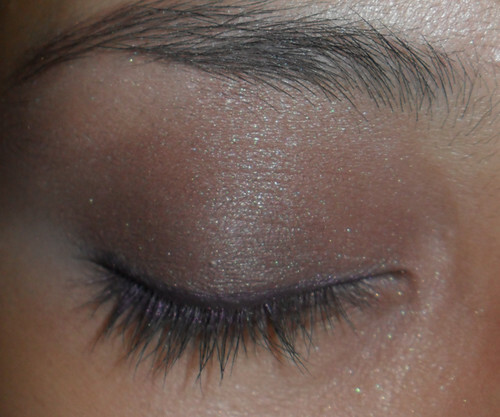 Then line upper lash line with dark brown or plum liner. 3. 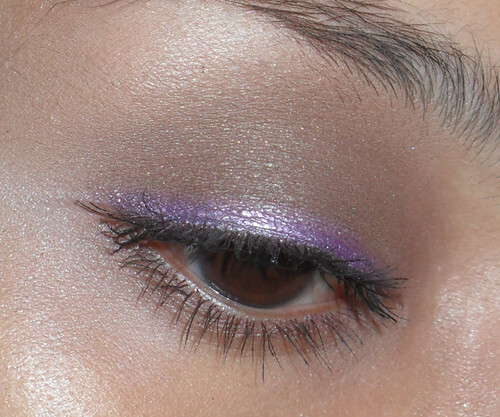 Apply a rich medium metallic purple wet (I used MAC Fix+ to foil my shadow for instant liner), JUST along the lashline, and layer for more dramatic sheen if needed. 4. Apply generous amounts of black mascara on top and bottom lashes, and voila.